Rochester is in the middle of a massive construction boom, adding glitzy residential and commercial space. But most residents in the southeastern Minnesota city say there's not enough affordable housing being built. That's one of the findings of a new survey commissioned by the City Council. One church has taken on the mission of helping to fill the gap. 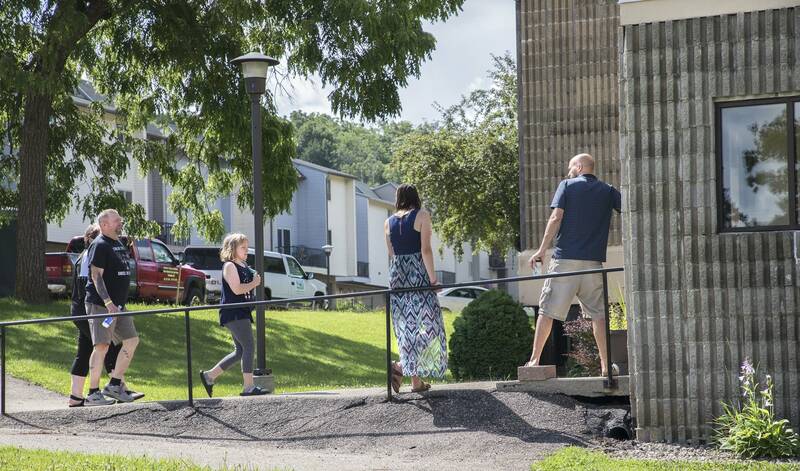 Rochester's newest affordable housing apartments are on the wooded campus of a former Bible college. And they rent for as little as $575 with utilities included — an unheard of sum in Rochester's tight housing market. 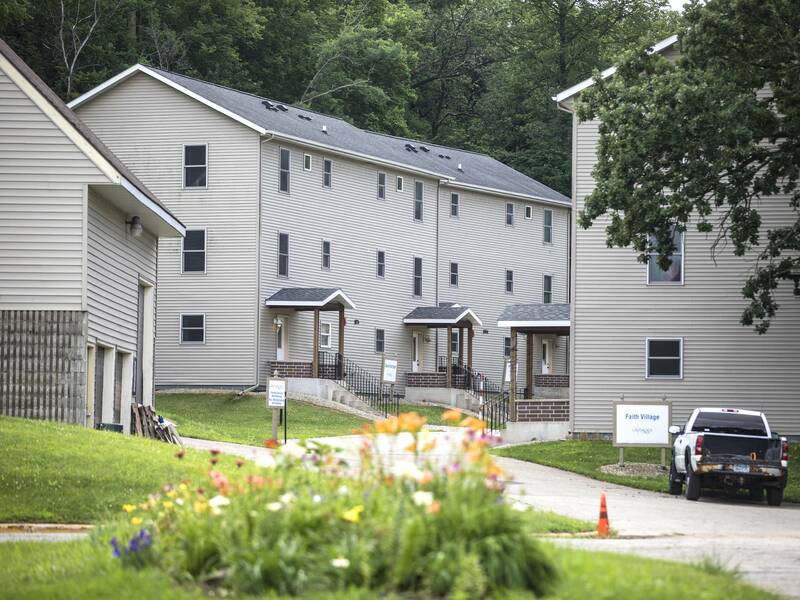 Jeff Urban, Bear Creek Christian Church outreach pastor, has been sprucing up a cluster of student dorm rooms that have been converted into a four-bedroom, 1.5 bath unit. "There isn't much living space up here. That's why we opened up the downstairs to make a bigger living space, which is much better for a family," Urban said. 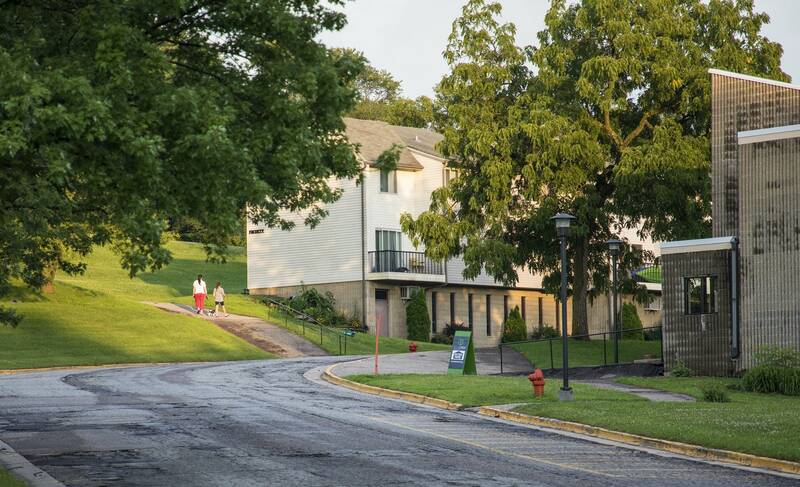 For two years after the college closed, developers came and went, most reasoning the campus would be too expensive to convert into apartments or commercial space. Where most developers saw a money pit, Aaron Wager, Bear Creek's lead pastor, said his congregation saw the potential for a permanent home for the church, and the opportunity to help close the city's affordable housing gap — all while bringing in revenue. His church closed on the $4 million property last month. "Our philosophy has always been that sometimes churches hide behind their fortresses a little bit, and don't do a lot for their community," Wager said. "We wanted to change that and be part of the solution." Nearly all of the 43 units are already occupied. The residents come from many different walks of life, Urban said. There are interns working at IBM and Mayo Clinic, and others with financial or legal challenges in their pasts — people who will have the hardest time finding housing in Rochester. Urban said all tenants have to have income or have an assurance of employment. "But we are open to being friendly to people who have had a challenge in their background," he said. Demand for affordable housing is a chronic problem across Minnesota. But in Rochester, the affordable housing shortage is especially prominent. Sleek, market-rate condos are going up downtown, but few include units that would be affordable to the people living at Bear Creek. The construction boom is the result of the Destination Medical Center economic development project, which aims to grow the city and its workforce by 30,000 people in the next two decades. Many of those new jobs will be in the construction, retail and service industries, said Steve Borchardt, housing director for the Rochester Area Foundation. Many of Rochester's housing options aren't affordable on the wages those workers typically earn. "They need to be able to live here, and have safe housing in which to raise their children and have families," he said. Borchardt's group launched a new housing initiative last year to fund affordable housing construction, and Mayo Clinic has committed $4 million to the project. 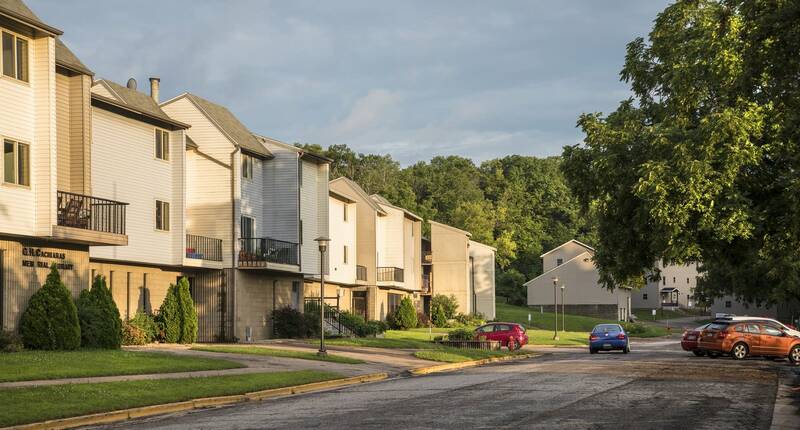 More recently, the City Council adopted a new policy that will set aside 5 percent of tax increment financing for affordable housing. "I think it's very innovative," said Paul Williams, president for Project for Pride in Living, a Twin Cities-based affordable housing nonprofit. He also sits on the DMC board. "It's the kind of thing that creates flexible resources for a city to really fund a project and really get something going in what is a hot market," Williams said. 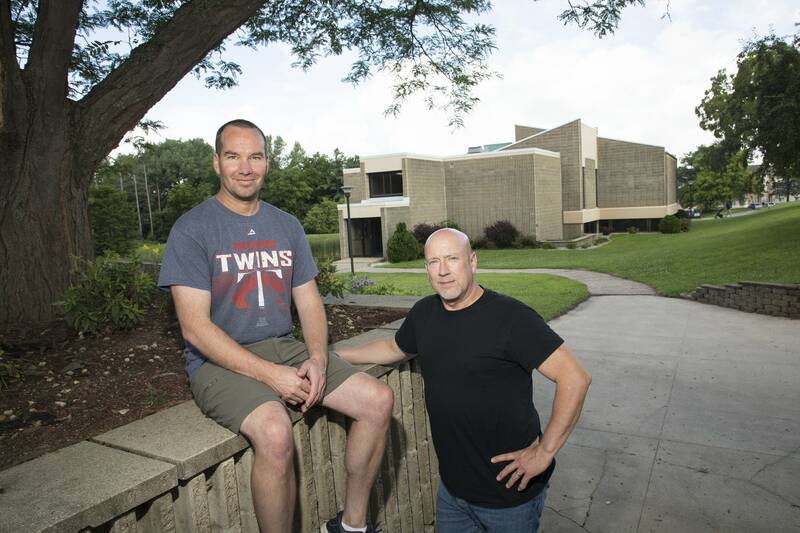 At Bear Creek, outreach pastor Urban said they're now marketing the commercial space on campus to nonprofits providing social services — addiction services, child care or organizations that help people find jobs. Renting the commercial space is a key part of the church's business plan. But Urban and Wager say making it easy for tenants to access services will also make it easier for them to get to work, keep their jobs and ultimately keep a roof over their heads. "Our goal is that every non-profit that comes out here, not only benefits the community at large but it actually has some benefit to the community right here," Urban said.